Cosmetic dentistry has the ability to make over a smile and boost confidence. Whether it involves a single treatment or a full-scale smile makeover, cosmetic dentistry can be a life-changing experience for people who are bothered by their smile. If you wonder whether cosmetic dentistry is right for your personal dental goals, Dr. Jennifer Chambers and Dr. Cory Chambers of Cobblestone Park Family Dental have the answer. Read on as the Oklahoma City dentists reveal signs you could benefit from cosmetic dentistry treatment. If you find yourself hiding your smile behind your hand or ducking out of photographs because you’re embarrassed of your smile, cosmetic dentistry can help. Together, you and our dentists will identify the area(s) of your smile that cause you to feel self-conscious. Then, we will recommend the treatments that are most likely to create your ideal-looking smile. A beautiful smile can help you feel more comfortable around other people (and in front of the camera!). Are tiny cracks or fractures keeping your teeth from looking their best? Patching up the cracks or fractures with filling material or placing a crown or veneer over the tooth not only improves its appearance, but also protects it and can prevent additional damage. Perhaps your teeth are strong and free of damage, but they look yellowed or dingy. The effects of aging and the consumption of highly pigmented foods and beverages can gradually darken the teeth, giving the entire smile an aged look. 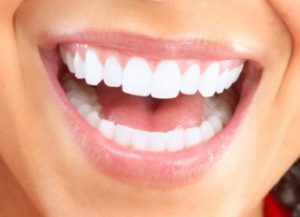 Professional teeth whitening brightens teeth almost instantly, giving the smile a healthy and youthful quality. If you prefer to whiten at home, we can create a special take-home kit for you to use. Slightly crooked or crowded teeth detract from an otherwise attractive smile. Minor spacing problems can often be corrected with Invisalign, a system that uses clear plastic aligners to gradually shift the teeth into the desired position. Many adults prefer Invisalign to traditional braces because the aligners are removable, comfortable and discreet. To schedule an appointment to discuss your cosmetic dentistry treatment options with our team, please call (405) 603-8520 or email Cobblestone Park Family Dental today.